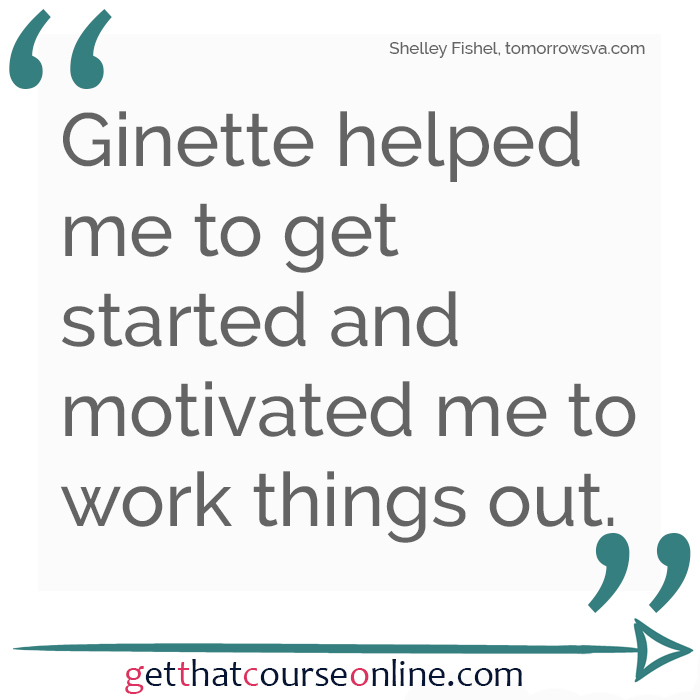 I’m Ginette, and I’m a trainer, just like you. Well not just like you – that would be weird – but the important thing is that I’m a freelance trainer too. I’ve been running my own business since 2014, when I chose redundancy for the second time in a 22ish year corporate career. 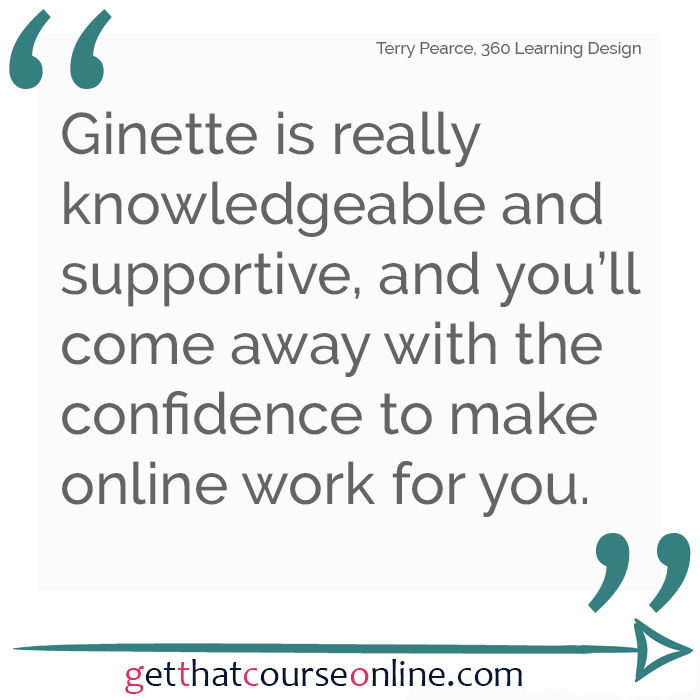 When I first went freelance, I had no clue about anything – the list of what I didn’t know was HUGE – but I also decided that I needed a way of delivering training when I wasn’t available. So I started looking at options for online delivery. 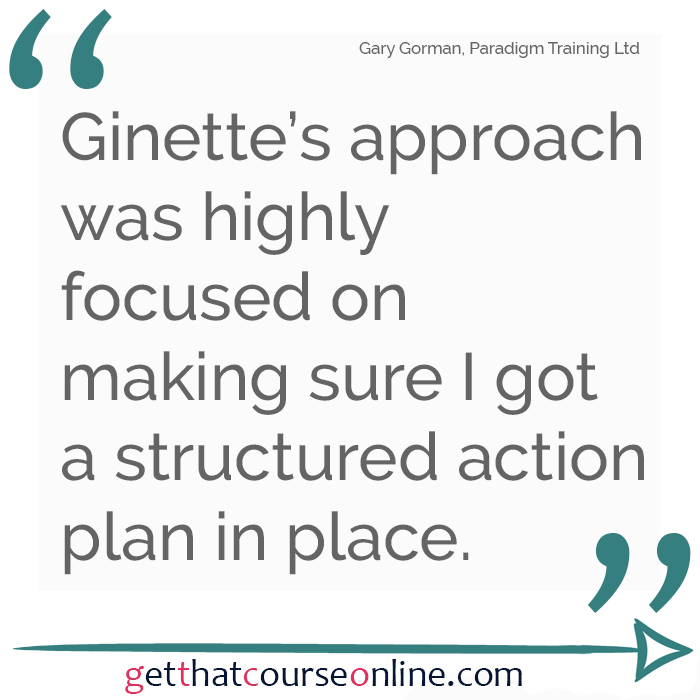 I assumed as a qualified trainer I didn’t need to worry too much about the process of actually putting the course together – I had loads I could choose from after all. I also thought being on camera wouldn’t be an issue either – ’cause I can stand up in front of any number of people and talk the hind legs off a donkey if I know the subject! Wowee, was that a learning curve! First of all, there were so many different things to think about – the tech, the hosting, the video, the audio, the sheer amount of additional non-training information I apparently ‘needed’. Second of all, once I got to the point of actually doing some filming – what was this? I dried up, I perspired (a LOT), I lost simple words, I tripped over every day phrases. 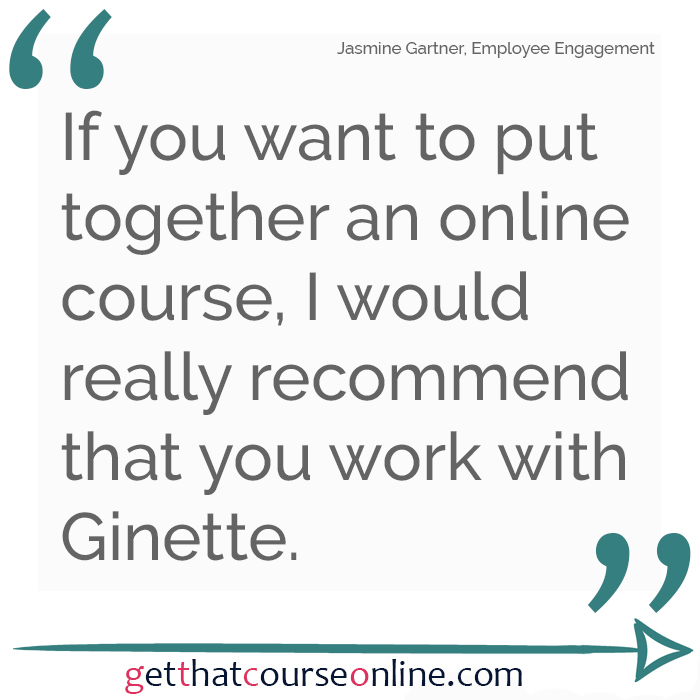 So I set out on a mission, to find out everything I could about putting together an online course and working out what best practice was in digital delivery. Along the way I read research, academic articles, blog posts, books, white papers, watched instructional (and not so much) videos and began compiling what I was finding. I cross-references sources, I looked for evidence of credibility – you name it, I did it in the name of putting together best practice. 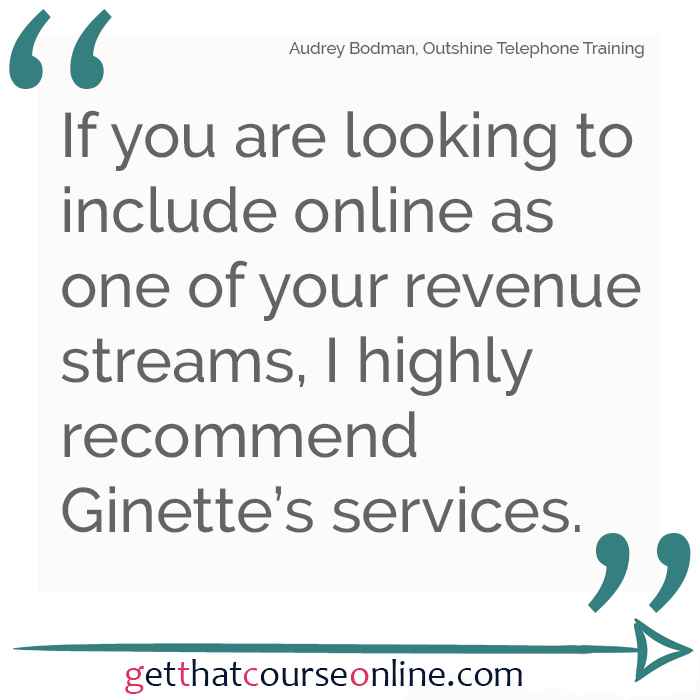 e) diversify your business into an additional income stream – that doesn’t care if you’re booked, sick or asleep! Let me be your (not so) secret weapon, and you’ll never look back! And if you want to hear from some other Trainers I’ve already helped, you can find a whole page of Testimonials here.